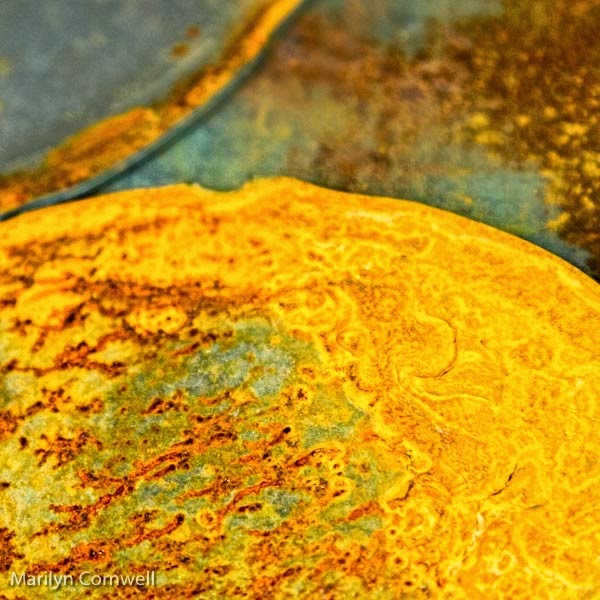 Rust, when it is new, is like molten gold. 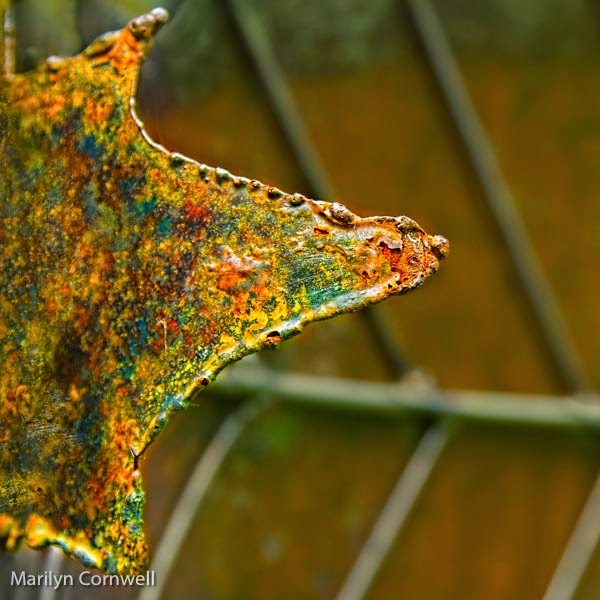 That's what the abstract below is - newly rusted metal. It isn't any ordinary metal, but found in the workshop of Floyd Elzinga, metal sculptor, whose studio is nearby in Beamsville.